One afternoon, I received an anxious phone call from Jack, a 65 y/o retired businessman, asking me if I could see him urgently. His leg pain, which began 2months earlier, was quite severe. As his pain pattern was so classic for a pattern for the 5th lumbar nerve root (L5), and he was traveling, I put him on the surgical schedule. His MRI scan showed several bone spurs next to the L5 nerve, but none that were new. Although surgery was an option, I was a little uncomfortable, and wanted to give him a little time to calm down his nervous system. Much to my surprise, his pain quickly disappeared and I cancelled his surgery. He experienced a second major flare-up about four months later. We both agreed that we would just get the problem definitively solved with surgery, and I put him back on the surgical schedule. By the time he saw me a week later for his pre-operative appointment, his pain again disappeared. This time we both felt that flared pain centra were were the cause. He wrote up his story, and we would like to share it with you. When severe sciatic pain left me almost disabled 9 months ago, I knew it was time for back surgery…but the surgeon suggested I investigate an alternative to surgery; that my pain could be caused by the neurophysiological Dodaerdfvfffo; (NPD). 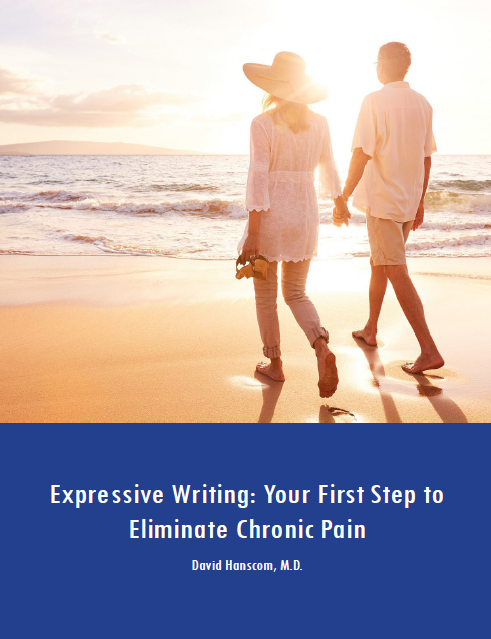 I was skeptical, but my research/practice of techniques eliminated my chronic pain…I am pain-free now. Details follow. Yes, that’s correct…I’m humbly suggesting that you delay or postpone your back surgery until you’ve tried this alternative. I am grateful every day that I postponed my surgery…”dodged a bullet” as I think of it! Of course, I’m NOT a medical expert and I can’t adequately explain what happened to me; and your results may vary. But read my story, and see if you can benefit from this alternative to surgery. Here’s the background: I’m a 65+ male, and have enjoyed excellent health my entire life; have jogged 3x per week since 1966 when Cooper first wrote Aerobics. About 18 months ago, I began noticing some mild sciatic pain…so I tried stretching…didn’t help. The pain level slowly increased, so my next “solution” was deep-tissue massage…maybe helped a little, but soon I was taking Tramadol, a mid-level pain reliever. Helped, but didn’t “fix” the problem. You know what comes next; right, I began Oxycodone. So in about 6 months, I had gone from healthy to being almost completely incapacitated with sciatic pain in my right leg. I could no longer jog. I realized it was time to consider back surgery! My Primary Care Physician (PCP) referred me to Dr. David Hanscom, a spine surgeon at Swedish Hospital in Seattle. I now realized that the sciatic pain was caused by something seriously wrong with my lower back (a pinched or impinged nerve was my guess), and surgery was necessary. By the time of the appointment, walking even with “help” from Oxy was very painful. Dr. Hanscom and his team reviewed the imaging they had ordered (MRI and myelogram) and informed me that, yes, I had a “complicated” back! (Scoliosis, stenosis, pars defects, thin disks between the lower vertebrae, bone spurs, severe age degeneration). The surgery to correct this would be an L5-S1 fusion. But Dr. Hanscom also explained that none of these defects looked severe enough to be the cause of my sciatic pain at the level I was experiencing. So while he would do the surgery if I insisted, he suggested I first look into other sources of my chronic pain. He gave me a copy of a book he has written, “Back in Control” (https://backincontrol.com/book/) and the link to his website, http://back-in-control.com/. I began reading the book when I returned to the hotel, and finished it that same evening! What a revelation! Chronic pain can be caused by mental stresses? Of course I was skeptical…I KNEW my pain couldn’t be caused by stress; I was retired, so what did I have to stress about? 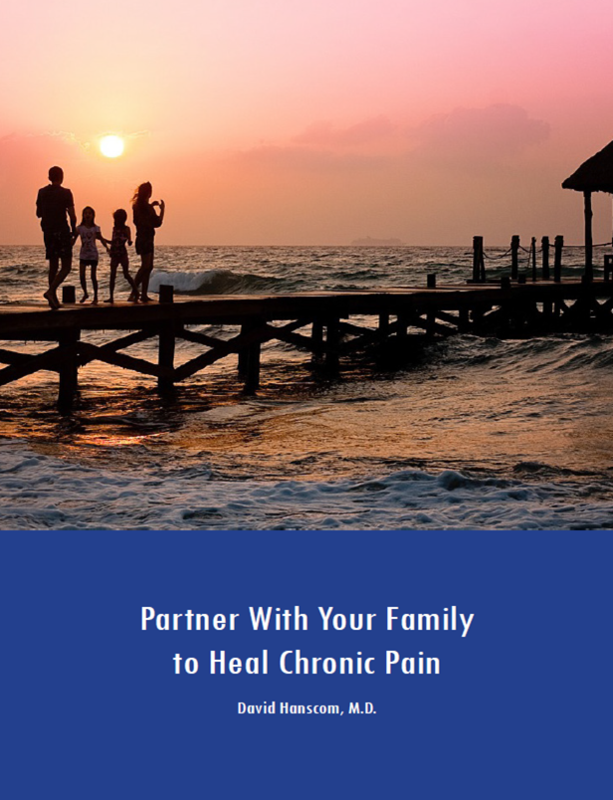 As the book explained, excessive stress and the chronic pain that results, are often not caused by external forces, but by internally generated issues. Could my sciatic pain be explained this way? It appears that this was the case. So not to bore you with details…the Internet is a great resource for this topic…e.g. just search on “Mind Body Syndrome chronic pain”. My hope is that this short history of my struggles with chronic pain will motivate potential back surgery patients to at least consider the MBS alternative to surgery. p.s. Why am I opposed to back/spine surgery? As I understand it (a “civilian”, NOT a medical professional!) the complexity of the spinal area, the bone, muscle, and nerves, makes the outcome of spine surgery “iffy”. For many patients, the first surgery is “1 of __”. In my case, I thought that simply decompressing the spur impinging the L5 nerve was the easy answer. But Dr. Hanscom explained that such a “simple” surgery could cause instability in other portions of the spine. My initial position was,” I’m in pain, YOU fix it!”—a passive approach. The MBS concept is that I CAN FIX THIS MYSELF!